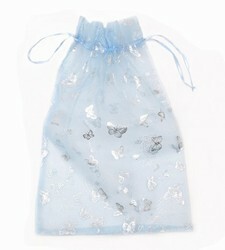 Organza gift bags are the ideal finishing touch for those extra special gifts. 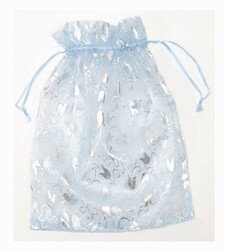 At Paper Bags Direct we have a choice of bags made from organza that your customers will love. 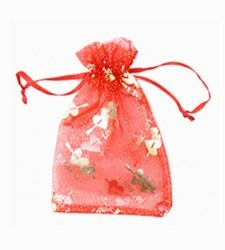 There is nothing like using an attractive pouch type bag for jewellery, party favours and small gifts. Each one of the organza gift bags that we supply is made from high quality organza that has been printed with a choice of designs. So if you are interested in red bags with ‘I love you’ on them, baby blue bags with silver butterflies or flowers on them or maroon bags with gold swirls we have it. 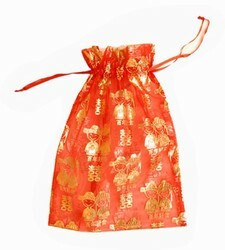 The ribbon that is used like a drawstring is also in the same colour as the bag to give it a really luxurious look. Ordering from us is very straightforward, just take a look at the range of bags and decide which you would like to purchase. 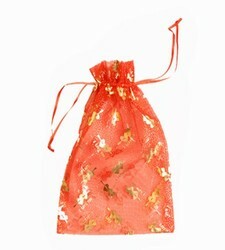 Then decide how many you would like, these organza gift bags come in packs of 25 and the more packs you buy, the cheaper the cost will be. 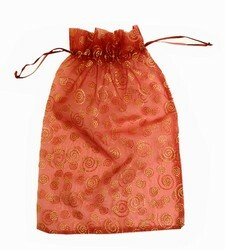 So if you would like to wow your customers or impress at an event, these bags will help you. You can order from us online in seconds using any of the major credit or debit cards and we will get your order out to your as quickly as possible. We can also accept orders over the telephone, if you would prefer to speak to somebody. At Paper Bags Direct we go out of our way to give you excellent customer service and products that you will love. 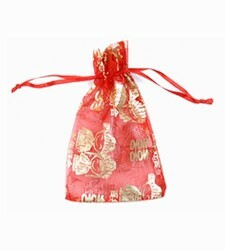 So why not order some of our organza gift bags today and watch what a difference a day can make to your business.